Go deep into one of California’s most pressing issues – groundwater – by visiting an extensometer that measures subsidence, an active aquifer storage and recovery well, a recycling facility that recharges water into the ground and more. 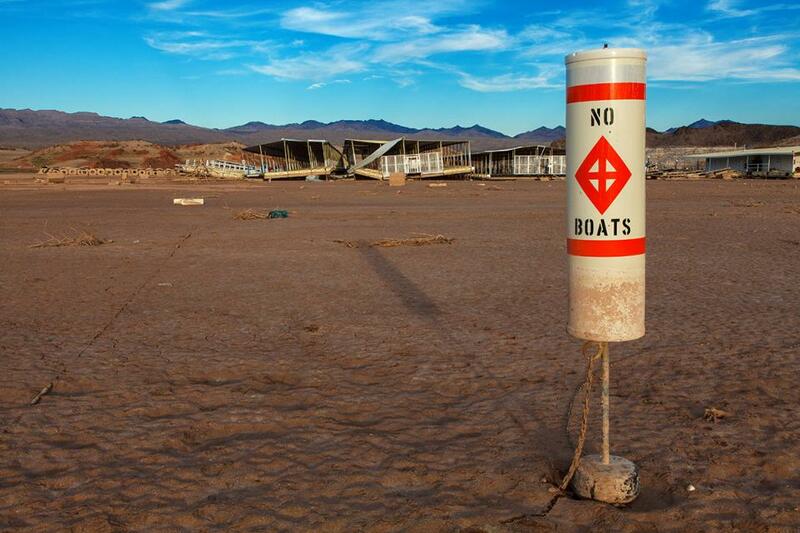 Wednesday’s Top of the Scroll: Colorado River water crisis is days away. Can states make a deal? Avoiding a long-expected crisis on the Colorado River, a water source for 40 million people, is coming down to a final few days of frenzied negotiations. A 19-year drought and decades of overuse have put a water shortfall on the horizon. If California and six other states, all with deeply entrenched interests, can’t agree on a plan to cut their water consumption by Jan. 31, the federal government says it will step in and decide the river’s future. New data released measure changes in land subsidence in the Sacramento Valley over the past nine years, finding the greatest land surface declines in Arbuckle. According to the Sacramento Valley GPS Subsidence Netwook Report and accompanying fact sheet … land in the Arbuckle area has sunk 2.14 feet compared with baseline measurements recorded in the same location in 2008, according to a press release from the Department of Water Resources. Maintaining functional wetlands in a 21st-century landscape dominated by agriculture and cities requires a host of hard and soft infrastructures. Canals, pumps, and sluice gates provide critical life support, and the lands are irrigated and tilled in seasonal cycles to essentially farm wildlife. Reams of laws and regulations scaffold the system. In Arizona, the Colorado River Drought Contingency Plan now hinges on the approval of tribal nations. The plan is meant to levy water cuts to seven Western states in order to prevent the river and its reservoirs from reaching critical levels — but after a state lawmaker introduced legislation that undermines parts of the Gila River Indian Community’s water settlement, the tribe has threatened to exit the plan. Without tribal buy-in, Arizona’s implementation design will collapse…. Water conservation in the Las Vegas Valley is imperative as the city continues to grow. The resources provided by the Colorado River are stretched thin, as the river is responsible for supplying the majority of the water to Southern Nevada, six other states—California, Arizona, New Mexico, Wyoming, Utah, Colorado—and Mexico. Combine these existing allotments with drought conditions that have reduced the river’s average flows by 30 percent annually, and it’s clear that Las Vegas must be proactive in its conservation efforts. A new bill would create guidelines for reusing water from beer or wine processing for rinsing equipment and tanks. The bill was introduced by Senator Scott Weiner (D-San Francisco) directs the State Water Board, in consultation with the California Department of Public Health – Food and Drug Branch, to develop regulations for microbiological, chemical, and physical water quality and treatment requirements for the onsite treatment and reuse of process water at breweries and wineries. The recent burst of winter rains has helped drive endangered coho salmon up to their spawning grounds in Lagunitas Creek, with surveyors counting the highest number of spawners in 12 years. … Lagunitas Creek supports about 20 percent of the remaining coho salmon between Monterey Bay and Fort Bragg, making it a key recovery area for the threatened species. City leaders met with Oregon state legislators this past week to discuss the earliest stages of funding an $80 million plan to fortify the city’s water system and ensure drinking water is free from harmful algal toxins. The need for cleaning out cyanotoxins and developing a backup water system became apparent to city officials last summer when Salem experienced a month-long drinking water crisis. The California Department of Fish and Wildlife and the State Water Resources Control Board, or SWRCB, are extending outreach to the cannabis cultivating community with presentations at four permitting workshops in Northern California. 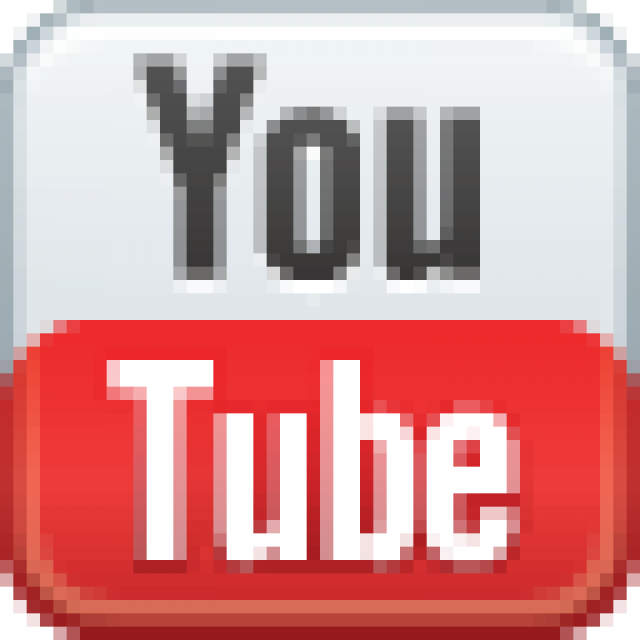 The presentations are ideally suited for cannabis cultivators, consultants and anyone interested in the topic. SWRCB will cover policy and permitting, and other important information. Computers will be available for applicants to apply for water rights and water quality permits. Unable to cope with wildfire claims, PG&E made good on its vow to file for bankruptcy Tuesday, launching a perilous journey with major implications for ratepayers, investors, state officials and the thousands of California wildfire victims who are suing the utility. Citing “extraordinary financial challenges” and a rapidly deteriorating cash position, Pacific Gas and Electric Co. and its parent PG&E Corp. sought Chapter 11 bankruptcy protection in an electronic filing shortly after midnight. A federal court of appeals ruled Friday that PacifiCorp, which currently owns and operates several dams along the Klamath River, can no longer continue to use a controversial tactic which has allowed the company to avoid implementing mandatory requirements meant to protect the health of the Klamath River for over a decade. The decision marks a victory for the Hoopa Valley Tribe, who filed the lawsuit, and may expedite the removal of several Klamath River dams. Editorial: If we build Lake Powell pipeline, will the water come? The Colorado River is not meeting its obligations. Its Lake Powell bank account is in danger of running dry. A 97-year-old agreement demands that the river deliver 5.2 trillion gallons of water to seven states and Mexico each year. That isn’t happening, and now — in the age of climate change — the chance of ever meeting that demand is fading. As a result, Utah’s plan to take more of its Colorado River water — by building a pipeline from Lake Powell to St. George — may be fading, too. Federal Reclamation Commissioner Brenda Burman has drawn a line in the sand for Arizona and other Western states: Finish a deal to take less water from the Colorado River by Thursday, or the federal government will be forced to step in and decide how to prevent reservoirs from falling to critical levels. … The plan’s success or failure will turn on the actions of a few key players, including leaders of the Legislature, tribes, farmers, cities and the state’s water managers. Monday’s Top of the Scroll: As bankruptcy looms, PG&E will walk away from two dams it owns. What about the other 167? With bankruptcy looming, Pacific Gas and Electric Co. is citing “challenging financial circumstances” as one of the reasons why it’s backing off from renewing its federal license for two of its hydroelectric dams. PG&E told the Federal Energy Regulatory Commission (FERC) on Friday that it would no longer try to renew the license for its Potter Valley Hydroelectric Project on the Eel River in Mendocino and Lake counties. The move raises a fresh set of questions about how the company plans to maintain its aging network of 169 hydroelectric dams in California amid its financial crisis. The City of Lathrop is one step closer to earning a permit that will allow for the discharge of treated wastewater straight into the San Joaquin River. … Currently the City of Lathrop disposes of the effluent that is generated from the Lathrop Consolidated Treatment Facility by storing it in basins during the winter months, and then applying it to urban or agricultural landscapes during the summer months. On our Lower Colorado River Tour, Feb. 27-March 1, we will visit this fragile ecosystem that harbors 400 bird species and hear from several stakeholders working to address challenges facing the sea, including managers of the Imperial Irrigation District, the Salton Sea Authority and California’s appointed “Sea Czar,” assistant secretary on Salton Sea policy Bruce Wilcox. Last week, in the third meeting of the Board of Directors of the San Lorenzo Valley Water District … the board voted 4-1 for a permanent ban on the use of glyphosate pesticides by the district, keeping a campaign promise that remained controversial right up to the board’s vote. “The residents in our district have spoken — they do not want glyphosate … and we don’t really know the true effects of glyphosate — how it will affect all the little creatures in sensitive habitat,” said Louis Henry, the newly appointed board chair. Q&A: What is the Drought Contingency Plan and will it affect me? Arizona’s water leaders and lawmakers are running out of time to complete the state’s Drought Contingency Plan, a blueprint for how Arizona water users would share a likely shortage on the Colorado River. … There are a lot of moving parts to understand and a lot of concepts that may seem overwhelming. Here are the things you need to know in advance of the Jan. 31 deadline to finish the plan. Arizona lawmakers and the governor are under the gun to come up with a Drought Contingency Plan to deal with possible Colorado River water shortages. Get an update from Kathleen Ferris of the Kyl Center for Water Policy at Arizona State University’s Morrison Institute for Public Policy. This Arizona Horizon segment is part of Elemental: Covering Sustainability, a multimedia collaboration between public radio and public television stations in Arizona, California and Colorado. “The judiciary is the safeguard of our liberty and of our property under the Constitution,” said U.S. Supreme Court Justice Charles Evans Hughes in Elimra, New York in 1907. That quote exemplifies the reason that five irrigation districts on tributaries to the San Joaquin River as well as the city of San Francisco filed lawsuits recently against the State Water Resources Control Board. They are defending their water rights. The Santa Clara Valley Water District made a grave miscalculation in suing the State Water Board over the Bay Delta Water Quality Control Plan. By alienating the remnants of the environmental community who have supported them in recent years, they are jeopardizing future projects and funding measures that will require voter approval. Water issues are notoriously difficult for California governors. Just look at former Gov. Jerry Brown’s floundering tunnels proposal for the Sacramento-San Joaquin River Delta. 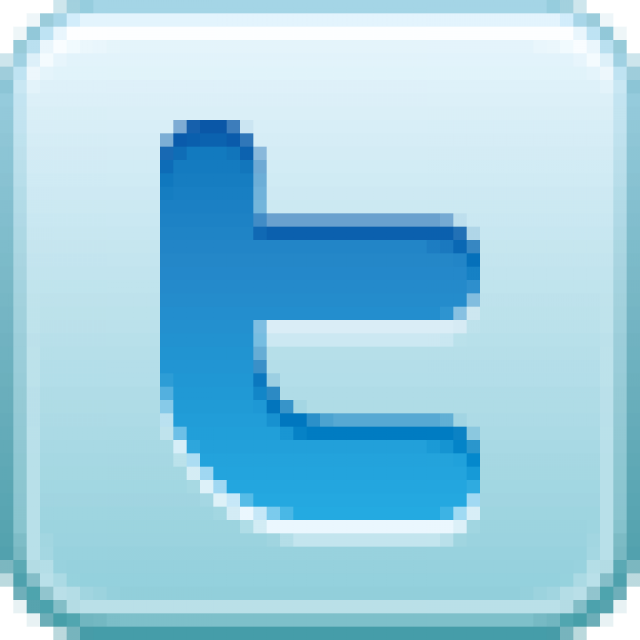 Yet two factors suggest that Gov. Gavin Newsom must make water a priority. The restoration site is one of three south of the U.S.-Mexico border, in the riparian corridor along the last miles of the Colorado River. There, in the delta, a small amount of water has been reserved for nature, returned to an overallocated river whose flow has otherwise been claimed by cities and farms. Although water snakes through an agricultural canal system to irrigate the restoration sites, another source is increasingly important for restoring these patches of nature in the delta’s riparian corridor: groundwater. The Groundwater Authority has a little over a year left to create the Groundwater Sustainability Plan, and the Indian Wells Valley Water District is doing everything it can to ensure that happens. The IWV Water District had its first workshop of the year on Wednesday morning, where future plans and goals of the water district were discussed. The main objective was to ensure that every decision and action that the water district makes is in tune with what the GA is trying to achieve. Making water conservation a way of life – that was the topic during a symposium, Tuesday, sponsored by the Water Association of Kern County. The discussion focused on the challenges of complying with new state laws that will set water conservation targets for homeowners and businesses. Even in the depths of winter it’s easy to bite into a plump blackberry or a delicate red raspberry, thanks to Driscoll’s, the world’s largest berry company. In late 2018, I traveled to the Pajaro Valley, west of Santa Cruz, for a tour of a Driscoll’s research facility, which provided an eye-opening view into how this family-owned company has become an agriculture leader selling berries every month of the year, and why they are so committed to water conservation. Coachella Valley Water District board members on Tuesday debated issuing a $40 million bond to pay for an extension of the Oasis pipeline to bring imported water to about 40 farmers and others in the irrigation district, who would pay the costs back over 30 years. A small rate increase could be imposed as well. The 17-mile pipeline and three pump stations would provide Colorado River water to mostly longtime farmers in the valley who already obtain much of their water from the river via the All-American Canal, but get some from wells. The Gila River Indian Community is threatening to blow up the drought-contingency plan because of efforts it says will undermine its claim to water rights. House Speaker Rusty Bowers is proposing changes to state laws in a way he said will protect the rights of farmers in the Safford Valley who have been “scratching it out” to water from the Gila River. But attorney Don Pongrace, who represents the Gila River Indian Community, said … courts have ruled those rights — and the water that goes with it — belong to the tribe. Since taking office Jan. 7, Gov. Gavin Newsom has not indicated how he intends to approach one of the state’s most pressing issues: water. Newsom should signal that it’s a new day in California water politics by embracing a more-sustainable water policy that emphasizes conservation and creation of vast supplies of renewable water. The first step should be to announce the twin-tunnels effort is dead. Without a change in how the Colorado River is managed, Lake Powell is headed toward becoming a “dead pool,” essentially useless as a reservoir while revealing a sandstone wonderland once thought drowned forever by humanity’s insatiable desire to bend nature to its will. … Absent cutbacks to deliveries to the Lower Basin, a day could come when water managers may have little choice but to lower the waters that have inundated Utah’s Glen Canyon for the past half-century. Longstanding urban-rural tensions over a proposed drought plan have escalated after Pinal County farmers stepped up their request for state money for well-drilling to replace Colorado River water deliveries. “Enough is enough,” responded 10 Phoenix-area cities through a spokesman. They say the state has already pledged millions to the farms for well drilling, and plenty of water to boot. Bureau of Reclamation Commissioner Brenda Burman today named Ernest A. Conant director of the Mid-Pacific Region. Conant has nearly 40 years of water law experience and previously served as senior partner of Young Wooldridge, LLP. Heavy rains this week left Lake Mendocino, the North Bay region’s second-largest reservoir, with an extra 2 billion gallons of water that until now officials would have been obliged to release into the Russian River and eventually the Pacific Ocean. Thanks to a $10 million program that blends high-tech weather forecasting with novel computer programming, the Army Corps has the latitude to retain an additional 11,650 acre feet of water, and Lake Mendocino has now impounded a little more than half that much. Citing what they say would be a disastrous decision for the region, the Oakdale and South San Joaquin Irrigation Districts have joined with other members of the San Joaquin Tributaries Authority (SJTA) in a lawsuit challenging the state’s right to arbitrarily increase flows in the Stanislaus and two other rivers. A declining Colorado River in Arizona. Orcas and salmon stocks in Washington state. Forest restoration in Idaho to protect drinking water sources from wildfire. And renewable energy seemingly everywhere. These are some of the water issues that U.S. governors have mentioned in their 2019 State of the State speeches. The speeches, usually given at the beginning of the legislative session, outline budget or policy priorities for the coming year. Locally, the primary impacts of climate change on people can broadly be broken into four categories: sea level rise, drought, flood and wildfire. The good news is, work and planning are already well underway to mitigate impacts, though it’s hard to say how much of an effect the measures will have, and how much those agencies – and their constituents – will be willing to spend on them. But this much is clear: Local, state and federal agencies are taking climate change seriously, and treating it like the potentially existential threat that it is. More than ever, water’s true value as a finite and precious resource is starting to be realised, and a growing number of investors are paying attention. There are plenty of examples of water risk. Campbell Soup Company took a hit in its quarterly earnings recently, due to an acquisition of a California fresh food company that was pummeled by the California drought. With Lake Mead now 39 percent full and approaching a first-ever shortage, Western states that rely on the Colorado River are looking to Arizona to sign a deal aimed at reducing the risk of the reservoir crashing. The centerpiece of Gov. Ducey’s proposed legislation is a resolution giving Arizona Department of Water Resources Director Tom Buschatzke the authority to sign the Drought Contingency Plan. The package of proposed bills also would appropriate $35 million and tweak existing legislation to make the plan work. Around the world, vanishing glaciers will mean less water for people and crops in the future. … Glaciers represent the snows of centuries, compressed over time into slowly flowing rivers of ice. … But in a warming climate melting outstrips accumulation, resulting in a net loss of ice. The California Department of Fish and Wildlife (CDFW) today released the Delta Conservation Framework as a comprehensive resource and guide for conservation planning in the Sacramento-San Joaquin Delta through 2050. The framework provides a template for regional and stakeholder-led approaches to restoring ecosystem functions to the Delta landscape. A simple web search will pull up nearly a million articles, videos and photos featuring Frank Gehrke. He’s no fashion icon like Kim Kardashian or a dogged politician like Gov. Jerry Brown. But he has broken a lot of news. … For 30 years, you might have seen Gehrke on TV, the guy trudging through snow with a measuring pole, talking about how deep the pack is each winter on the evening news. He retired from his post as the state’s chief snow surveyor in December, but he’s not letting go of his snowshoes and skis anytime soon. The draft legislation compiled by the Department of Water Resources looks similar to how water leaders described the measures at a Drought Contingency Plan Steering Committee meeting last week. … But the legislation as drafted barely delves into the nitty-gritty details of a far more complex intrastate agreement that Arizona water users have been hashing out for months. Wells are going dry and there are few long-term solutions available — a common stopgap has been to drill deeper wells. This is exactly what happened in California’s Central Valley. The recent drought there prompted drilling of deeper and deeper water wells to support irrigated agriculture. Groundwater supplies around the world are being threatened by excessive pumping, but drilling deeper wells is not a long-term solution. A better solution is to manage water use and avoid excessive declines in groundwater levels. A Bureau of Reclamation program awards grants to water districts and other project sponsors seeking to reuse water and add to supplies. From 1992 through 2017, it awarded about $715 million for 46 construction projects and 71 studies. Nearly all of the funding—about $703 million—went for construction projects that recycled water. House Speaker Rusty Bowers warned Tuesday he won’t be pressured by Gov. Doug Ducey into approving a drought contingency plan by a Jan. 31 deadline that he and other lawmakers have yet to see. Following one of the hottest and driest years on record, the Colorado River and its tributaries throughout the western U.S. are likely headed for another year of low water. That’s according to a new analysis by the Western Water Assessment at the University of Colorado Boulder. Researcher Jeff Lukas, who authored the briefing, says water managers throughout the Colorado River watershed should brace themselves for diminished streams and the decreasing likelihood of filling the reservoirs left depleted at the end of 2018. After more than three years, 104 days of testimony, and over twenty-four thousand pages of hearing transcripts, the hearing before the State Water Resources Control Board (State Board) on the proposal to construct two tunnels to convey water under the Delta (aka California WaterFix) is almost completed. Probably, that is: there could be more if the project changes again to a degree that requires additional testimony and/or environmental review. Urban water conservation took a sharp drop in November in California, with savings of just 7.8 percent compared to November 2013, the benchmark pre-drought year. That’s down from 13.4 percent savings in October. Statewide, the average was 86 gallons per capita. In the Sacramento River watershed, everyone used on average 101 gallons per day; in the Bay Area, 67 gallons; on the South Coast, 86 gallons. Arizona legislators and staff are attending closed-door primers on water policy in advance of a critical January 31 federal deadline for the state to approve the Drought Contingency Plan. The first of three meetings occurred on Friday afternoon and lasted two and a half hours. The session was led by Central Arizona Project general manager Ted Cooke and Arizona Department of Water Resources Director Tom Buschatzke. 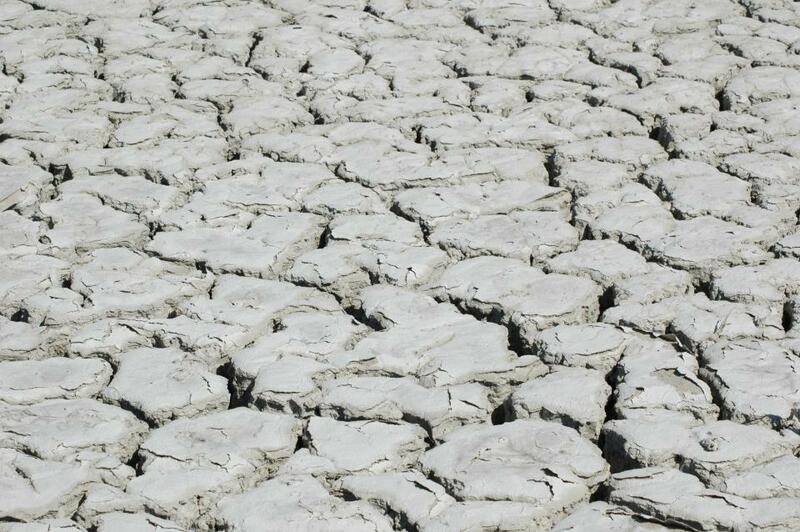 Opinion: Could the Coachella Valley go dry? Agencies work to keep water flowing. Everywhere you look new homes, hotels and master-planned developments are appearing. It is wise to ask whether we have enough water for these future desert residents and visitors. Permits for new projects are under the jurisdiction of cities or the county — not under the purview of water agencies. Water agencies are tasked with supplying the water. Balancing growth and water supplies is nothing new to desert communities. It has always been a fact of life in our desert and is one of Desert Water Agency’s most important responsibilities. A section of the museum will also be dedicated to water, teaching visitors how much water it takes to grow crops, how California farmers lead the world in conservation, and how the state’s complicated water storage and delivery system works, said Mike Wade, the executive director of the California Farm Water Coalition. The Coalition is the title sponsor for the exhibits and has drawn on several farming organizations, including Farm Credit, to help build and maintain the exhibits. 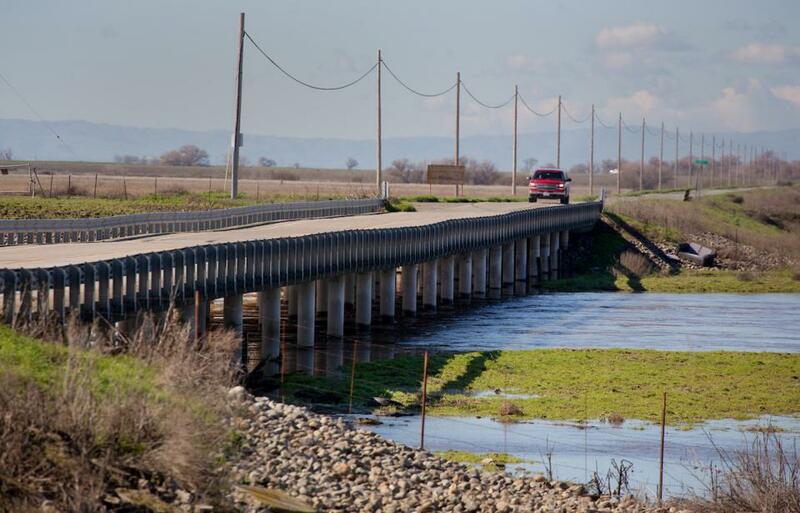 In an attempt to block the state’s plan to divert more water toward the Sacramento-San Joaquin River Delta and away from the Bay Area, the Santa Clara Valley Water District has filed a lawsuit arguing the project could significantly reduce the local water supply. If the plan advances, the water district might have to spend millions of dollars to obtain alternate water supplies and pull up more groundwater. The West’s great river hits its limits: Will the Colorado run dry? As the Southwest faces rapid growth and unrelenting drought, the Colorado River is in crisis, with too many demands on its diminishing flow. Now those who depend on the river must confront the hard reality that their supply of Colorado water may be cut off. Gov. Gavin Newsom, if he is to successfully steer the state into the future, has to bring to his water agenda the same steely-eyed, reality-based drive that the two previous governors brought to limiting carbon emissions. It is time for the state to respond to its water challenge with the same sense of urgency with which it adopted Assembly Bill 32, the landmark law capping greenhouse gas emissions, in 2006. The Colorado River may not look like it, but it’s one of the world’s largest banks. The river is not only the source of much of the American West’s economic productivity – San Diego, Phoenix and Denver would hardly exist without it – but its water is now the central commodity in a complex accounting system used by major farmers and entire states. … This month, the nation’s largest water agency, the Metropolitan Water District, began what amounts to a run on the bank. Wade Crowfoot will lead the agency that oversees state parks, the Department of Water Resources and the Department of Fish and Wildlife, among other offices, Newsom announced Friday. When the grapefruit and lemon trees bloom on Jim Seley’s farm, the white blossoms fill the air with their sweet scent. He and his son, Mike, manage the business, and they hope to pass it on to the next generation of Seleys. But the farms of Borrego Springs, like the town and its golf courses, rely completely on groundwater pumped from the desert aquifer. And it’s unclear whether farming will be able to survive in this part of the Southern California desert west of the Salton Sea in San Diego County. The State Water Resources Control Board proved back on Dec. 12 that it wasn’t listening to a single thing anyone from our region was saying. By voting to impose draconian and scientifically unjustifiable water restrictions on our region, four of the five board members tuned out dozens of scientists, water professionals and people who live near the rivers. Gov. Doug Ducey will use his fifth State of the State speech Monday, Jan. 14, to try to corral the votes to approve a drought-contingency plan in the next 17 days or risk federal intervention. “We’re in a position now where we have a sense of urgency and focus on Arizona’s water situation,” the governor told the business community Friday in previewing the speech that kicks off the legislative session. Southern California’s native scrublands are famously tough. … They evolved along with long, hot summers, at least six rainless months a year and intense wildfires. But not this much fire, this often. The combination of too-frequent wildfires and drought amplified by climate change poses a growing threat to wildlands that deliver drinking water to millions. Registration is now open for the Santa Ana River Watershed Conference set for March 29 in Fullerton. The daylong event will be held at Cal State Fullerton. Join us to discuss the importance of the Santa Ana River Watershed and how, through powerful partnerships, resilient solutions can be found to improve the quality and reliability of the region’s water supply. News Release: Can our forests survive the next drought? UC Merced researchers have evidence that California’s forests are especially vulnerable to multi-year droughts because their health depends on water stored several feet below ground. With a federal deadline to sign a Colorado River drought deal three weeks away, Arizona water managers are still grappling with several unresolved issues that could get in the way of finishing an agreement. The outstanding issues, some of which are proving contentious, range from developers’ concerns about securing future water supplies to lining up funding for Pinal County farmers to drill wells and begin to pump more groundwater. One of the Water Education Foundation’s most popular events, Water 101 offers a once-a-year opportunity for anyone new to California water issues or newly elected to a water district board – and anyone who wants a refresher — to gain a deeper understanding of the state’s most precious natural resource. It will be held Feb. 7 at McGeorge School of Law in Sacramento. The U.S. Interior Department is facing three lawsuits filed by three environmental groups who allege its plans for the 200,000-acre Klamath Basin National Wildlife Refuge Complex along the Oregon-California border violates several federal laws. A fourth complaint from six farms and agricultural groups alleges the agency has unlawfully exceeded its authority by restricting leases of refuge land for agricultural purposes. Although Mother Nature blew the storm door off its hinges in parts of California last weekend, the state continues to run below average for rain and snow so far this winter. First, the good news: The negotiators of Arizona’s Drought Contingency Plan have crafted the most detailed, concrete proposal to date laying out how Arizona will deal with expected cutbacks to its supply of Colorado River. Now, the bad: The partial shutdown of the federal government is squeezing these negotiators. 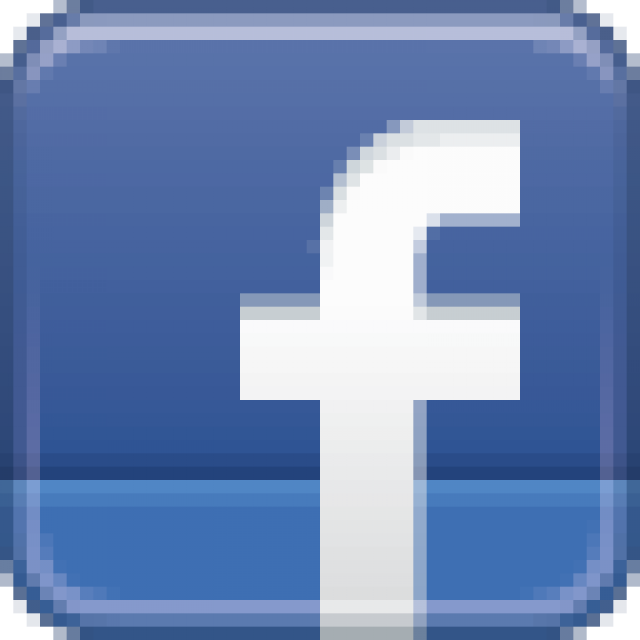 Arizona Republic: Opinion: What if Arizona misses Jan. 31 deadline to join Drought Contingency Plan? Pacific Gas and Electric Co. is seeking to auction off its Potter Valley Project hydropower plant, which contains two reservoirs and dams, to a new operator. PG&E cited increasing operation costs, a competitive energy market and lower energy generation needs as reasons for its decision. Questions remain as to what extent Marin County water supplies will be affected by a potential change in ownership and operation of the 110-year-old hydropower plant more than 100 miles to the north. Cloud seeding has existed for decades, and has significant traction in other western states such as California, Idaho and Wyoming. Colorado has only recently joined the cloud seeding game as the state’s snowpack has declined and the Colorado River runs dry. Arizona must identify our next bucket of water. Championing desalination along the California coastline is one long-term solution that can help secure Arizona’s economic and water future. At Monday’s meeting of the Metropolitan Water District’s Planning & Stewardship Committee, officials said that with no Drought Contingency Plan in place (Arizona being the hold out), they are beginning to draw down their storage in Lake Mead. 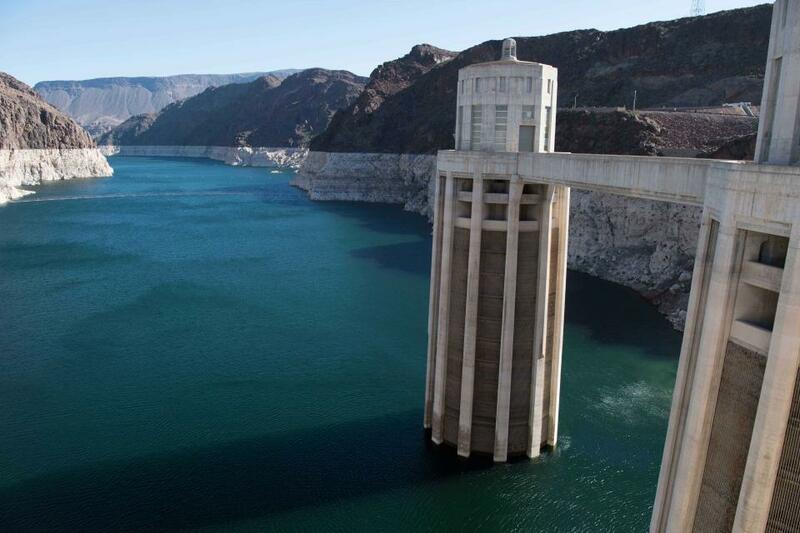 “If there is no Drought Contingency Plan, we don’t want to leave potentially half a million acre-feet or more locked up in Lake Mead if we go into shortage,” said General Manager Jeff Kightlinger. Jon Rosenfield: Last month the State Water Resources Control Board finally required increased flows from three San Joaquin River tributaries, as the first step in a process to update water quality standards for the San Francisco Bay estuary. The board opted for weaker environmental protections in order to reduce impacts to agribusiness and San Francisco, ignoring the potential for changed agricultural practices and investment in sustainable water use to ease or eliminate the impact of reduced water diversions. California’s lawns receded during past droughts: Homeowners reduced their water use by adding flower beds and walkways where turf had previously been. But this last drought, which ended in early 2017, was different. Thousands of homeowners took advantage of “cash for grass” programs to remove their lawns entirely. The announcement finalizes prioritization of 458 basins, identifying 56 that are required to create groundwater sustainability plans under the Sustainable Groundwater Management Act. For most basins, the results are a confirmation of prioritizations established in 2015. Fifty-nine basins remain under review with final prioritization expected in late spring. 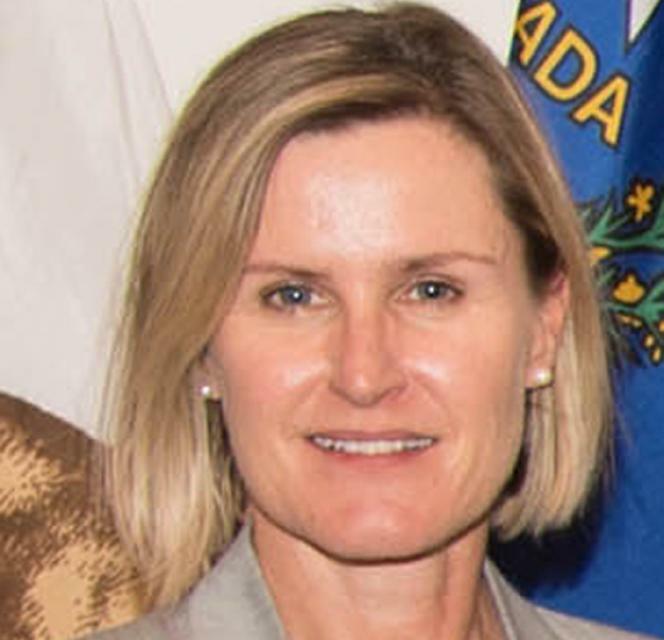 Southern Nevadans will see few noticeable consequences from a soon-to-be-finalized drought contingency plan for states that get most of their water supply from the Colorado River, according to a Southern Nevada water resources expert. Colorado River water managers were supposed to finish drought contingency plans by the end of the year. As it looks now, they’ll miss that deadline. If the states fail to do their job, the federal government could step in. Luke Runyon, a reporter with KUNC who covers on the Colorado River Basin recaps what’s been happening and why it’s so important. 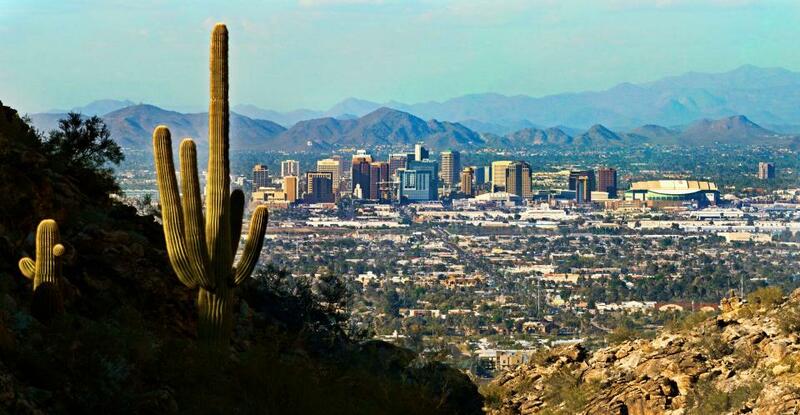 Audubon: What is going on with water planning in Arizona? Due to rising average temperatures, snowpacks in the Great Basin appear to be transitioning from seasonal, with a predictable amount and melt rate, to “ephemeral,” or short-lived, which are less predictable and only last up to 60 days. “We might not get as much water into the ground, throwing off the timing of water for plant root systems, reducing our supply and use, and even affecting businesses such as tourism,” says lead researcher Rose Petersky. At the end of the last century, the Sierra Nevada captured an average of 8.76 million acre-feet of water critical to the nation’s largest food-producing region. By mid-century, a new study projects, the average will fall to 4 million acre-feet; and by century’s end, 1.81 million acre-feet. The tenth annual performance report evaluates what the state water boards do and how the environment is responding to its actions. The report presents numerous performance measures for specific outputs and outcomes. The report issued by California’s State Water Resources Control Board marks a key step in a decade-long effort to remove four hydroelectric dams and restore the health of the Klamath River. The dam-removal project is part of a broader effort by California, Oregon, federal agencies, Klamath Basin tribes, water users and conservation organizations to revitalize the basin, advance recovery of fisheries, uphold trust responsibilities to the tribes, and sustain the region’s farming and ranching heritage. Water conservation numbers for October were announced last week by the Water Resources Control Board, and the savings were all over the place. Statewide, urban water use was down 13.4 percent compared to October 2013, the pre-drought benchmark year. Water saving in urban California continued to slide in August, but Butte County agencies generally conserved twice as much water as the rest of the state. The State Water Resources Control Board reported Tuesday that statewide, water use was down 12.6 percent in August, compared to August 2013. The latest water conservation figures released by the state show Butte County saving at about double the statewide rate. The Water Resources Control Board released the number for July last week, and statewide water savings were 13.6 percent lower than in July 2013, the benchmark pre-drought year. Butte County continues to outpace the state by a long shot when it comes to water conservation, according to numbers released last week by the state Water Resources Control Board. The board released water savings reported for June by 360 urban water suppliers in the state, which averaged 16.8 percent compared to June 2013, the benchmark year before the last drought. The State Water Resources Control Board released water saving numbers earlier this week, and reported statewide savings of 20.2 percent in May, compared to May 2013, the benchmark year for before the drought. Americans are conserving water in their homes like never before, according to a U.S. Geological Survey (USGS) report released this month. In per capita terms, domestic water use has plummeted from 112 gallons per day in 1980 to just 82 gallons in 2015, a 27 percent decrease. California has always been America’s leader on environmental policy, and water is no exception. So it was hardly surprising when the state made headlines across the nation in early June with a new policy on residential water use: Californians will be limited to 55 gallons per person per day for their indoor water needs. On Thursday, Brown signed two bills, SB 606 by Sen. Robert Hertzberg (D-Van Nuys) and AB 1668 by Assemblywoman Laura Friedman (D-Glendale), that require cities, water districts and large agricultural water districts to set strict annual water budgets …The Humboldt Bay Municipal Water District — which serves approximately two-thirds of county residents across several municipalities and community services districts — initially opposed the legislation unless it was amended. Taking aim at two water-conservation laws signed last week by Gov. Jerry Brown, a conspiratorial far-right financial blog called Zero Hedge reported Sunday that Californians could be fined $1,000 a day if they bathe and wash their clothes on the same day. For the first time in the state’s history, California is setting permanent water-consumption goals to prepare for future droughts and climate change, with a local elected official involved in the historic move. Assemblywoman Laura Friedman (D-Glendale) introduced Assembly Bill 1668, one of the bills signed into law by Gov. Jerry Brown Thursday. Saving water may be as simple as changing the type of roof you have, two scientists in Berkeley discovered. That might sound far-fetched, but their new findings about “cool” roofs recently published in the journal Nature Communications showed for the first time that it’s possible — and it could save California cities millions of gallons of water each year. Although he declared an end to California’s historic five-year drought last year, Gov. Jerry Brown on Thursday signed two new laws that will require cities and water districts across the state to set permanent water conservation rules, even in non-drought years. “In preparation for the next drought and our changing environment, we must use our precious resources wisely,” Brown said in a statement. California cities and towns may find themselves on a water budget in the next decade under a pair of bills approved Thursday by the legislature. The measures follow Gov. Jerry Brown’s call to make water conservation a permanent way of life in a state long accustomed to jewel-green lawns and suburban tracts studded with swimming pools. California voters are being asked to weigh in on new borrowing, new government restrictions and a drought-friendly tax break on the statewide primary ballots that will be counted June 5. There are five propositions in all, a small menu of proposed laws all written by the California Legislature. There may not have been a “March Miracle” when it came to the snowpack in the state, but there was sure one when it came to water conservation. The State Water Resources Control reported that in March urban Californians used 24.8 percent less water than in March 2013, the benchmark year considered to be before the drought. Major users of the Colorado River are trying to resolve a dispute over how to conserve the vital waterway amid a prolonged drought. California voters may experience a sense of déjà vu this year when they are asked twice in the same year to consider water bonds — one in June, the other headed to the November ballot. Both tackle a variety of water issues, from helping disadvantaged communities get clean drinking water to making flood management improvements. But they avoid more controversial proposals, such as new surface storage, and they propose to do some very different things to appeal to different constituencies. Since Gov. Jerry Brown called off California’s drought emergency a year ago, we Californians seem to have gotten a little lazy when it comes to water conservation. We’ve started watering our lawns more often. The State Water Resources Control Board’s proposal to impose permanent conservation rules – such as prohibiting hosing down driveways, watering lawns less than two days after it rains and washing a car without attaching a shut-off nozzle to the hose – ran into a cascade of opposition. California’s water conservation habits, refined and improved over five years of drought, are quickly evaporating. For the seventh time in the last eight months, the amount of water saved by urban Californians has declined, according to new data from the State Water Resources Control Board. The State Water Resources Control Board reported Tuesday that statewide water savings were just 0.8 percent in January compared to January 2013, the benchmark pre-drought year. Monday’s Top of the Scroll: Will California’s water wars create a constitutional conundrum? With nearly half the state back in drought, California’s water regulator held a contentious hearing in Sacramento on Tuesday on whether to make permanent the temporary water bans enacted by Governor Jerry Brown during the 2014-2017 drought. The board announced it will revisit the proposed measures in March while it makes some minor revisions to the draft proposals. Cap-and-trade systems are most notably used for controlling pollution, particularly related to climate change and greenhouse gas emissions. The idea has never yet been implemented when it comes to water conservation. … Four years ago, Newsha Ajami, the director of Urban Water Policy at Stanford University’s Water in the West program, and her lab began exploring how such a system might work for water. Recognizing California’s increasing propensity for parched weather — this winter being no exception — state water officials are planning to resurrect many of the temporary water restrictions that were enacted during the recent five-year dry spell and make them permanent. Members of the state Water Resources Control Board are scheduled to decide Tuesday whether to bring back what had been temporary water bans from California’s 2013-2017 drought and make them permanent. Overall water use is climbing in Southern California as that part of the state plunges back into drought, driving state and regional water managers as they consider permanently reinstating some watering bans and conservation programs. February has been bone dry. Has drought returned to California? Weather experts spent much of this winter cautiously optimistic. There were still weeks to go in the wet season and the reservoirs were full, thanks to last winter’s near record-breaking rain and snow. Now, even the professionals are getting more than a little nervous. The State Water Resources Control Board is expected to adopt regulation coming before the board on Feb. 20 that would make it a crime to commit any of seven wasteful water practices — from lawn over watering to street median irrigation. Those rules would take effect April 1. Worried about California’s dry winter? Interested in installing a rainwater capture system from your roof? 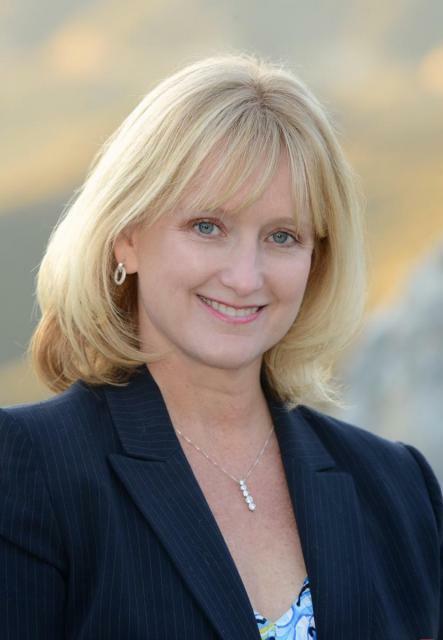 A new state ballot measure written by an East Bay lawmaker and signed by Gov. Jerry Brown late Wednesday will put the issue before voters in four months. In April 2015, Gov. Jerry Brown called on the people of the most populous state to reduce their water use by 25% in response to a punishing four-year drought. It was an audacious goal, and Californians came close to meeting it. U.S. households are using less water, but what does that mean for metros and infrastructure? The last few months have seen a growing number of climate concerns – from historically devastating floods to record forest fires – with many regions still assessing the damage. Beyond recovery, planning and paying for more resilient infrastructure also remains an enormous challenge, and no quick and easy solutions seem to be on the way from Washington or elsewhere. For decades, no matter the weather, the message has been preached to Californians: use water wisely, especially outdoors, which accounts for most urban water use. Enforcement of that message filters to the local level, where water agencies routinely target the notorious “gutter flooder” with gentle reminders and, if necessary, financial penalties. The situation turned critical during the 2012 to 2016 drought, when reservoirs sank to alarmingly low levels. The state of California is looking to crack down on water wasters and make saving water a way of life — no matter how much it rains. California’s restrictions on water use in September were effective, As a result, the state saw a 15 percent drop in water use. Good habits die hard, it seems, after five years of epic drought – for most Californians, anyway. The historic dry spell from 2012 to 2016 prompted many state residents to reduce their water consumption, as did strict regulations imposed by state agencies and individual water districts. Statewide water savings slipped in June to 17.4 percent of that in the same month in 2013, the state Water Resources Control Board announced Tuesday. First the drought ended. Now the last vestiges of mandatory conservation rules are over, too. California’s main water regulatory agency ended mandatory conservation regulations for urban residents Wednesday, following Gov. Jerry Brown’s official declaration that the drought ended April 7. After one of the wettest winters on record, Gov. Jerry Brown declared Friday that California’s historic drought is officially over for all but a handful of areas in the Central Valley. But after five years of severely dry conditions, California also is pressing forward with a dramatic overhaul of its conservation ethic for farms to cityscapes. Californians are still conserving substantial amounts of water even as Gov. 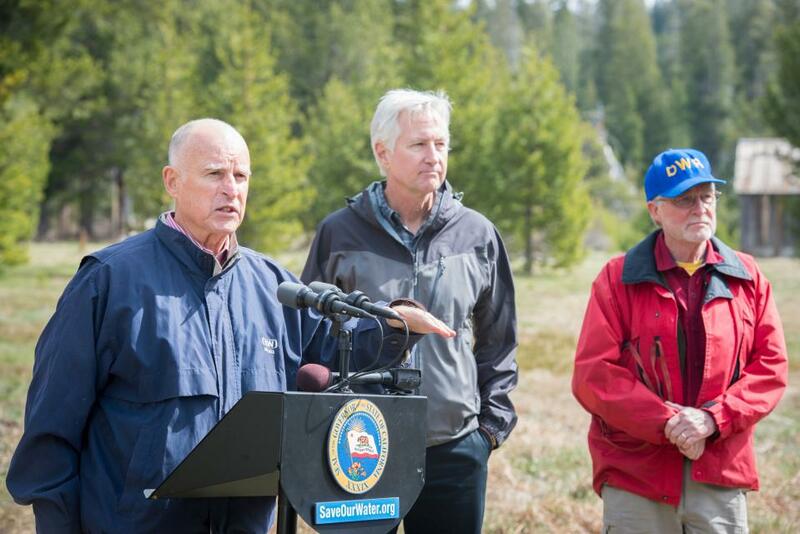 Jerry Brown appears ready to rescind or relax his drought declaration. Despite weeks of rain and a growing perception that the California drought is dead or dying, state officials Wednesday largely extended the water regulations that have become the new normal in cities and towns throughout the state. Water regulators in California on Wednesday extended what are now largely symbolic conservation measures lingering from the drought after the state has seen one of the wettest winters in years. Drought water restrictions will remain in place in California for at least another three months despite the extremely wet winter, the state water board decided Wednesday. The State Water Resources Control Board on Wednesday voted to keep statewide emergency drought controls in effect, even as most of California sees historic amounts of rain and snow. California’s top water cops will decide Wednesday whether to extend the state’s emergency drought rules. A healthy snow pack and steady rain have offered a fresh outlook to over five years of drought in California but the State Water Resources Control Board is expected to extend emergency regulations due to water supply problems in areas such as the Central Coast. The message is oft-repeated that water must be conserved and used as wisely as possible. California’s top water regulator has strongly suggested the state will keep drought conservation rules in place despite winter storms that have waterlogged many communities. 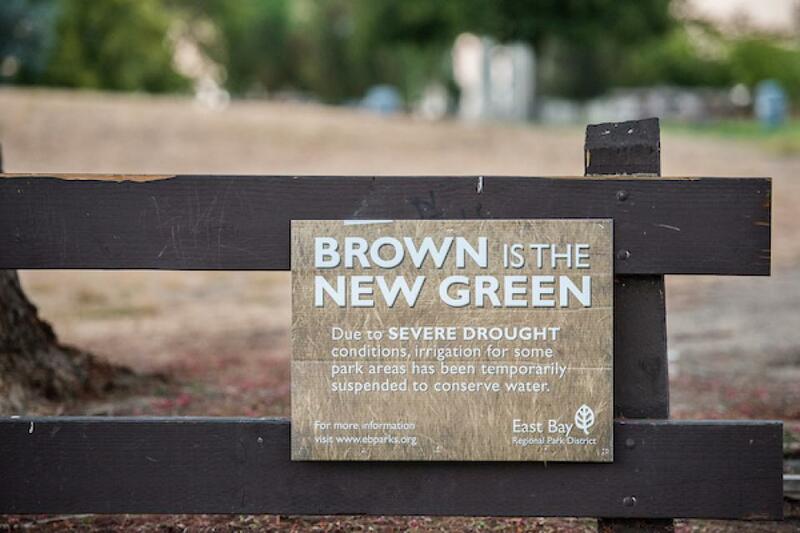 When will soggy California drop water restrictions? Much of California has gone from withered to water-logged this winter, but the state’s top water regulator is not ready to lift emergency conservation measures enacted during the height of the drought. … Water districts have been lobbying the board to back down. With storms drenching much of California and snow blanketing the Sierra Nevada, the state’s top water regulators are grappling with how to shift from conservation rules devised during more than five years of drought to a long-term strategy for using water more sustainably. A chorus of urban water districts Wednesday urged the State Water Resources Control Board, California’s chief drought regulator, to allow the state’s emergency conservation rules to expire. Despite drenching rains and heavy snowfall this winter, California moved Tuesday to keep in place its statewide water conservation rules — at least for another three months or so. Gov. Jerry Brown on Tuesday released a $177.1 billion spending plan that contains funds for drought, water rights management, continuation of the statewide conservation program Save Our Water and other key water programs. As much of the state heads into a sixth year of drought, water officials on Wednesday, Jan. 4, cheered Californians’ continued conservation while urging them to stay stingy with water after residential savings slipped below 19 percent in November. California water conservation took a slight step backward in November, officials announced Wednesday, possibly due in part to an unusually wet fall and months of successful conservation efforts. Urban Californians showed some slippage against state-mandated water conservation goals, with 18.8 percent savings in November compared to water use three years earlier. California is working to put into place a framework that will help the state deal with its current water shortage, as well as future droughts that are likely to be more severe with a changing climate. 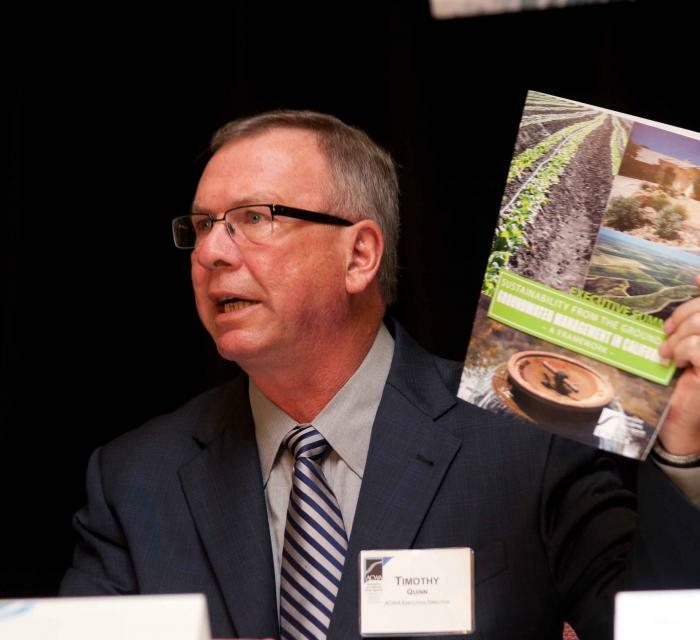 “Making Water Conservation a Way of Life,” a draft report released last week, is the collective effort of five state agencies to fulfill Gov. Jerry Brown’s Executive Order B-37-16, signed in May 2016. Despite a wet start to the fall in Northern California, nearly two-thirds of the state remains wracked by extreme drought. In the future, climate change is likely to make dry periods more frequent, more intense and longer. Urban Californians used about 1.8 percent more water in October compared with a year earlier, state officials said Tuesday. It marked the fourth straight month in which conservation has slipped following the state’s decision to relax drought mandates.